Although we hear it a lot, smoking is bad for you, there are still many adults and kids that continue to smoke cigarettes. 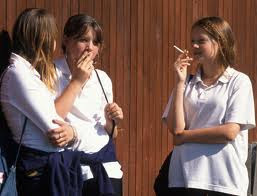 Parents will say that we need to pick and choose our issues with our teens, which is correct, however we cannot stop talking about the dangers of smoking tobacco. In Florida, Tobacco Free Florida and Florida's Quitline are two organization directed at helping you and your loved ones quit smoking. Unveiled in 2008 under the direction of the Florida Department of Health, the Tobacco Free Florida campaign seeks to decrease the number of tobacco users in the state of Florida through efforts aimed at both preventing nonusers from starting to use tobacco and encouraging current users to quit. These efforts are funded by money derived from court settlements against major tobacco companies, and include executions in the realm of Advertising, Public Relations, Interactive, Guerilla Media, Event Media, Sponsored Promotions and more. Are you as shocked and horrified at the events that happened to 15 year-old Josie Ratley as many of us are? Isn't it time this violence and bullying stopped? 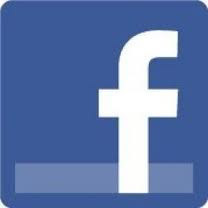 Facebook has become one of the strongest social networking sites to help spread news, assist causes and bring people together with common interests. 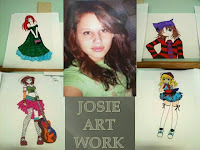 Recently "Pray for Josie Lou Ratley" group was created. AT&T recently launched a new campaign to raise awareness about the risks of texting and driving and remind all wireless consumers, especially youth, that text messages can – and should – wait until after driving. 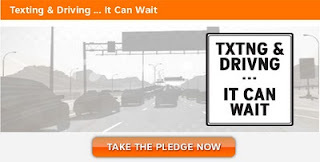 The national campaign features true stories and the text message that was sent or received before someone’s life was altered, or even ended,because of texting and driving. Stop what you’re doing. Take out your wireless device. Read out loud the last text message you received. Would reading or responding to that text message while driving be worth causing a serious accident? When you look at it that way, there’s no text that couldn’t wait. Sue Scheff: Fitsmi for Moms - Does your teen daughter struggle with her weight? Fitsmi is a place for teen girls who are struggling with their weight and ready to make a change and they have now expanded into a place for parents to help their teens. Here is a note from the founder who was recently featured on Dr. Oz. Welcome! My name is Linda Frankenbach and as a formerly overweight teen myself, I know how difficult it can be both to lose weight and to live with the social stigma that is so often an additional burden. So I founded Fitsmi.com, a website for teen girls struggling to lose weight, and a companion site, Fitsmi for Moms. Because when a teen decides to make a difference in her life, no one is in a better position to help her succeed than her mom. Sue Scheff: Teen Drivers - Click it or ticket! It's the law, buckle your seat belt and demand your passengers click-it too! Many teens think they are invincible, it is up to the parents to stress the importance of seat belts. Seat belts save lives. In Florida, traffic crashes take the lives of thousands of people a year. Most of those who die on the road are not buckled up. With the busy Memorial Day weekend approaching and spring break is here, law enforcement agencies across Florida are once again joining the Click It or Ticket safety belt enforcement campaign. In 2007, an average of nine people a day died on Florida roads. So protect yourself, your family and your friends. Be sure that everyone on every trip buckles up. And if you click it, you won't get a ticket. It is hard to accept when we realize our sweet angel we once rocked to sleep as an angel can become defiant, beligerent and downright mean. Connect with Kids recently posted an excellent article on how girls are becoming more violent. Juvenile jails were once filled with boys and young men... but that's changing. 16 year old Toni says, "Girls are out there stealing, killing people, you know, doing all things that, you know, used to be just guys." In fact Toni went to jail for possession of marijuana. For the past decade, arrest rates for girls have been rising and new numbers from the federal government show that today one in four teenage girls has gotten into a serious physical fight, either at work or at school. Motivating students today can be a challenge. Many children are very bright, intelligent and have the ability to get excellent grades, however are underachievers. This can be extremely frustrating to parents as well as teachers. PS Youth Outreach Center located in Lauderdale Lakes, offers Broward County youths an opportunity to learn better study skills, prepare for SAT's, ACT's as well as GED preparation. PS Youth also helps teens and young adults with career development by offering assistance with resume writing, interview tips, filling out applications and computer classes. 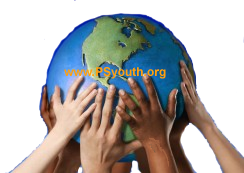 Paula Scott, President of PS Youth Outreach Center, said they are planning a Summer Camp which will also foster educational growth and retention during the summer months as well as incorporate some fun, educational activities. PS Youth's one-on-one tutoring rate is very low, in comparison to other tutoring and private educational services. Does your teenager (18 years old and up) have a passion for their pet? Do they enjoy helping others? 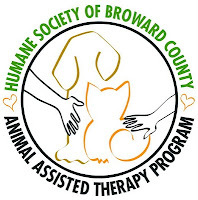 If so, The Humane Society of Broward County offers a rewarding program. Animal Assisted Therapy Programs (AAT) is a rewarding experience for your teen and their companion animal. First you will need to attend the Humane Society of Broward County's Volunteer Orientation. Volunteer Orientation is scheduled through their Volunteer Services Department at 954-266-6814. The Animal Assisted Therapy Program (AAT) is not only for young adults; parents and people of all ages can help make a difference in many lives. If your teen is seeking a career in psychology, social work or veterinarian, this could be an excellent introduction. For adults, it is a great way to meet others that share your love of animals and helping others. With the expansion of cable television, there doesn't seem to be a topic in reality shows that is missing. From 16 and Pregnant, to Intervention, to Hoarders, people are learning more about a variety of issues. More importantly, there is now an awareness that is helping others to understand disorders, addictions, challenges others are facing and a distinct mental health problem such as hoarding. Each year at this time, teens begin planning for some of the most memorable moments of their lives, including celebrating proms and graduations with friends and family. To help keep these celebrations safe for everyone, it¹s important to remind adults to encourage teens to celebrate safely and without alcohol. According to the 2009 GfK Roper Youth Report, 68 percent of youth, ages 8 to 17, cite their parents as the number one influence on their decisions about whether they drink alcohol or not. In addition, government research shows that teens who report drinking usually get their alcohol from adults. To help prevent underage drinking, the Family Talk program encourages open, honest communication between parents and children. Developed by an advisory panel of education, family counseling, child psychology and alcohol treatment professionals, Family Talk materials are distributed free to parents and educators by Anheuser-Busch and its national network of distributors. Parenting involves many more challenges and issues today than generations earlier. While years ago our parents concerns were with a teen getting pregnant or a form of STD such as Herpes, today there are many more serious concerns that both women and girls need to be aware of. This doesn't mean these issues didn't exist years ago, however it does mean we have come further in our education of knowledge and awareness. March 10th is National Women and Girls HIV/AIDS Awareness Day (NWGHAAD). This a nationwide initiative, coordinated by the U.S. Department of Health and Human Services' Office on Women's Health to raise awareness of the increasing impact of HIV/AIDS on women and girls. Read more about NWGHAAD. When women are faced with HIV/AIDS, their physical health is not the only issue at hand. Often accompanying the physical illness associated with the virus are mental health conditions, such as depression and anxiety. Sue Scheff: Pediatric Depression - Is your teen depressed? With the recent headlines of the suicide of Marie Osmond's son and TV teen actor of Growing Pains, Andrew Koenig, we are learning and hearing more about depression in children as well as a keen awareness to suicidal signs in our teens. Do you suspect your child is suffering with depression? 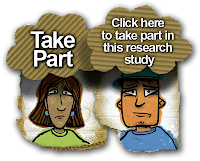 Are you concerned your teen is becoming more withdrawn, secretive, isolated? Childhood and teenage depression is often in hiding. It's normal for children and teenagers to have sad or moody days, but when those feelings last for two weeks or longer, it could indicate that something more serious is going on. As adults, it can be hard for us to accept that children can also have depression, but research is going on now to help find new medicines for children with depression in the future. With the recent tragic news of the untimely death of Michael Blosil, 18 year-old son of Marie Osmond, combined with the suicide of Growing Pains TV actor, Andrew Koenig, alerts everyone that there are people that are suffering with serious depression which can reach to suicidal results. The L.A. Times reported that Blosil had jumped from his downtown Los Angeles apartment at 9 p.m. Friday (February 26th) and had left a suicide note. These recent sudden deaths that were not necessary, are a wake up call to people that may know someone that are suffering silently, or have become withdrawn. Especially with teens, parents need to be aware of warning signs. Florida Initiative for Suicide Prevention (FISP) was founded by Jackie Rosen. Her son committed suicide 22 years ago and she has devoted her life to helping prevent others from going through this pain as well as educating people about the warning signs.